Look similar to the Jeffrey Campbell Foxy Wood that cost around 125US Dollars! Some kind of a velvet-y material! Nice! similar to what I expect! and again, it fits me! YEAH! Pre-Order or Ready Stock clothes/shoes/bags? Some are ready stock but not many. Most of them are Pre-Order! Pre-Order let you guys gt much more cheaper price! If you are willing to wait, They have Mega Sales pre order where more discount! Do thy ship internationally? I think she do not ship internationally. But you can ask her anyway! She's friendly! CLICK HERE! 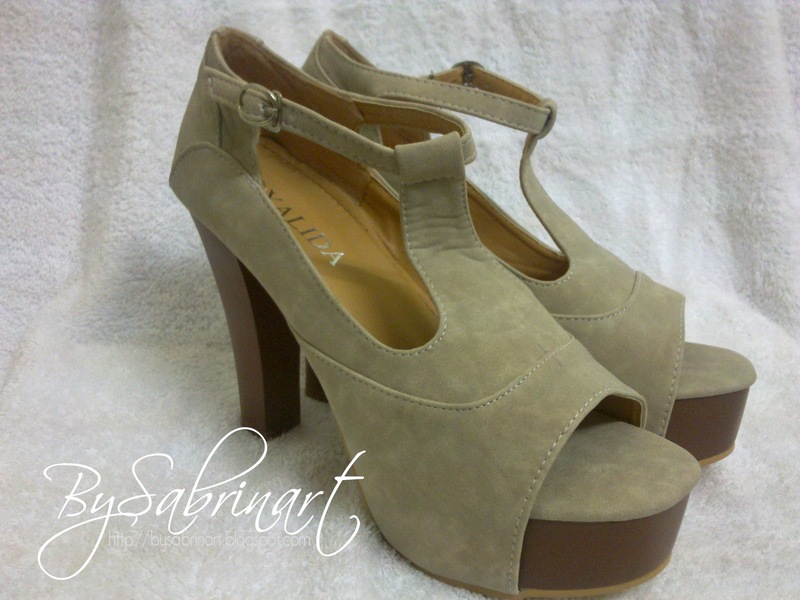 Link to the item I purchase - Shoe 1664 Beige - RM 57, Size: 39 - CLICK HERE! Review - LOVE LOVE LOVE! Worth buying! Sarah, the owner is also friendly! My first order was not this color actually, is a tan color, but it is OOS, So she email me and ask me what is my decision, proceed with another order or refund. I choose to proceed with another order. I email her few times, and she does reply! Yes! Im going to shop more there! Aaaaa! Haha! Thanks Sarah! When I have the free time, I will post my look wearing these babies! @miss cat lady - haha! THANKS! I know right! There were once i went out the store crying at my bf shoulder because of that one shoe that i have saving up for it sold out! haha! it was funny! sure! i have just ordered a pair... wait for it hehe!